I am going to try to be a little more diligent about posting. I have a lot of projects that I have completed, just haven’t gotten around to taking the photos. And I will be a little disappointed with those projects already completed, because I won’t be able to show any “in process” or “how-to” photos, since they’re already done. I’m doing better with the new projects. Here is one I did for my office. There are times when my job becomes a little stressful and it is fun to take a little ‘mental break’. 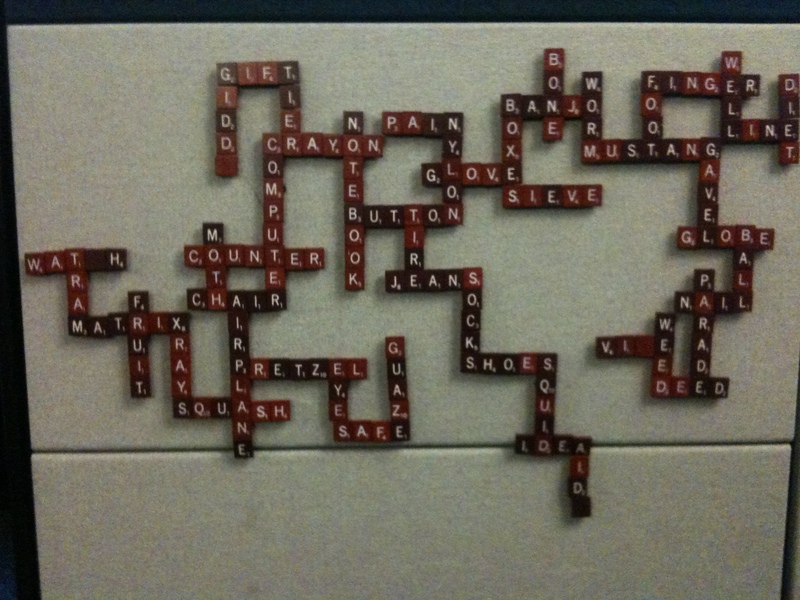 And I love Scrabble. So, I bought a couple of sets of Scrabble tiles from eBay and glued (using E6000) little disk or ‘button’ magnets on the back. The first set I did used magnets from Michael’s and were pretty reasonable. But wandering the aisles in Home Depot a few weeks later, I stumbled on a selection of the magnets and they were much stronger and cheaper. I will probably get all of my magnets there from there now. They have a really good selection, at least at the one close to my house. 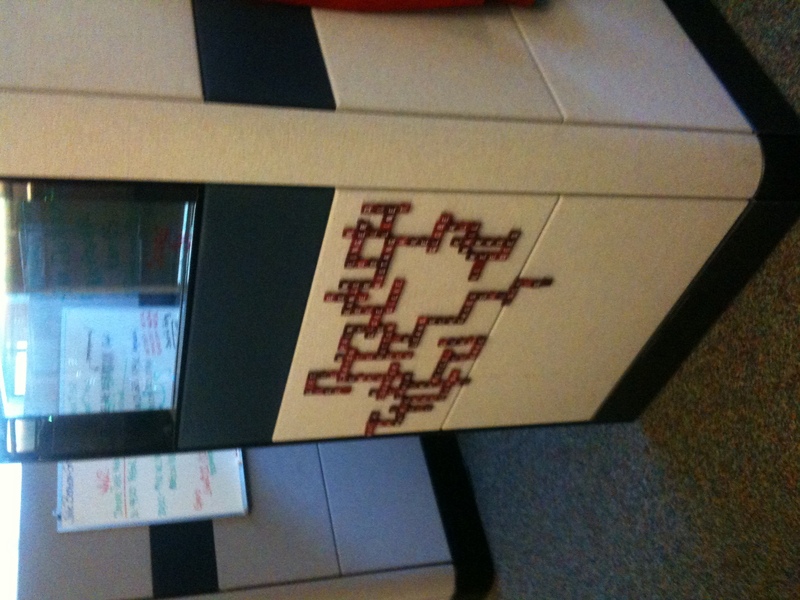 We play on the outside wall of my cubicle. Each week, someone gets to chose a topic and we play through the week. Everyone can play. The only score we keep is how many points are remaining at the end of the day on Friday. The clear portion of my cube wall is where the “rules” are written (not sure you can see this in the photo). Jason sits across from me and he is the unofficial referee for words. He is very diligent!